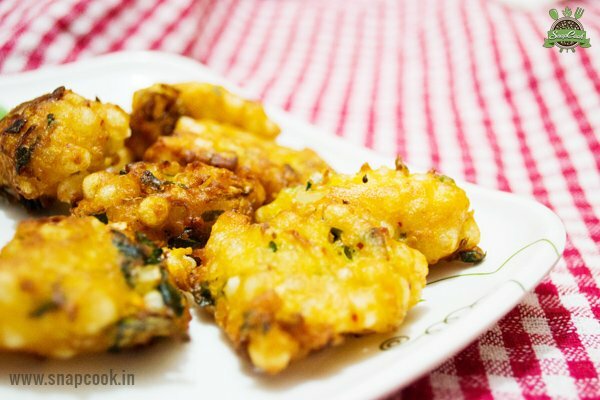 Pakode made of sabudana soaked in curd gives a sour taste to it. It is enjoyed with tea especially in winter season. Soak sabudana in curd for 2 hours. Now add all the ingredients except oil in the mixture. Mixture should be in the consistency, neither too thick nor watery. If the mixture gets watery, you can add more gram flour to it. Now add this mixture one by one with the help of spoon for deep frying. Deep fry till it changes the colour.